Sports apparel company Under Armour recently introduced a new training shoe, the Architech, based on a cutting-edge design and manufacturing process. 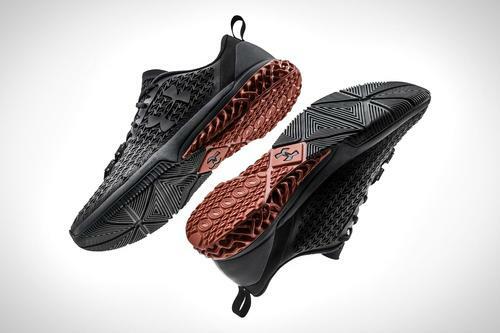 The shoe, which they call a 360-degree performance training shoe, features a functional 3D-printed midsole and 3D ClutchFit auxetic upper design that creates a “super-hybrid” trainer. The motivation was to create a training shoe capable of supporting athletes through a variety of exercises and workouts in the gym without requiring them to change their shoes. The UA Architech was developed using Autodesk Within software, which was specifically developed for generative design. Mark Davis, senior director of design research at Autodesk said the project began as a consulting engagement, which then led to the idea of using Generative Design, which in turn, led to the utilization of Autodesk Within. Davis said this pathway was not unusual for applications that lend themselves to this type of design approach, such as automotive, aerospace, and tooling, as well as footwear. In this day and age, where mobility plays a role in so many products, lightweight structures are constantly being sought. While lattice structures have become quite popular, until now, they could only be applied at relatively large scales. If you wanted small-scale cellular structure, with a significant amount of air space, some type of foam material might be your only option. But not only are foams mechanically limited, they are also homogeneous. The beauty of generative design, especially when combined with precision 3D printing, is that lattice structures can be designed with each cell uniquely specified and built, in response to the requirements of the application. “Rather than being a uniform cell, it’s increasing or decreasing the thickness of the cell, in order to accommodate the forces that are acting on it,” said Davis. This is exactly what Under Armour was looking for. A generative design, combining the best of human and machine capabilities, could create a lattice structure based on force feedback. Each unit cell in the lattice can be proportioned to carry the loads that computer analysis determines it will see. And while, not long ago, this would have been merely theoretical, thanks to the unique capabilities of 3D printing, that design has now been realized. The Architech design utilized both the variable density lattice and the variable density skin feature of the Within software. If you stop and think about the implications of this, it becomes clear that someday, in the not-too-distant future, you will be able to have a shoe custom-designed and printed to meet the specific requirements of your weight, height, stride length, running style, as well as any other idiosyncrasies of your gait -- not to mention an exact match to the size and shape of your feet. All it would take would be the capabilities already described here, plus some kind of smart “reality capture” device that could transmit the specific characteristics of the loads you produce while working out, running, or any other activities you’d like to use the footwear for. RP Siegel, PE, has a master's degree in mechanical engineering and worked for 20 years in R&D at Xerox Corp. An inventor with 50 patents, and now a full-time writer, RP finds his primary interest at the intersection of technology and society. His work has appeared in multiple consumer and industry outlets, and he also co-authored the eco-thriller Vapor Trails.